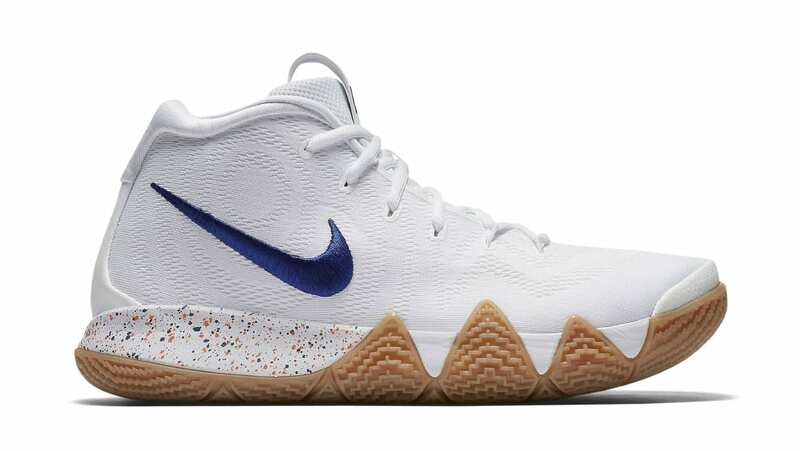 Nike Nike Kyrie 4 "Uncle Drew"
Nike Kyrie 4 "Uncle Drew"
This Nike Kyrie 4 draws inspiration from Uncle Drew, a fictional character played by Kyrie Irving, with an all-white upper on top of a gum bottom. Accents include a royal blue Swoosh with a speckled midsole. Release date is June 29, 2018 at a retail price of $120. News Nike Kyrie 4 "Uncle Drew"